The ubiquitous bogie driveline is an absolute staple of the transport industry in Australia, but when you stop and ask why, no one can offer a good answer. Now of course, bogie drive, and even tri-drive are perfectly legitimate. 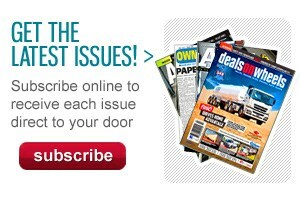 Like everything else in use, they’re a considered response to a problem. But what happens when the specifics of the problem change? Does that mean the answer changes as well? Talk to a representative of most European, or even Japanese, truck manufacturers, and they’ll most likely tell you that while bogie drive is good for certain applications, there are also plenty of scenarios where single drive is not only just as effective, but is actually more efficient. Scania boss Roger McCarthy is one of those people, and given his background in working with operators in the UK, where not only are freezing temperatures the norm, but so is snow and ice, it’s fair to say he might know a thing or two about setting up a truck for difficult driving conditions. According to McCarthy, Scania has a long history of supplying single-drive prime movers, fitted with a load-bearing lazy axle to maintain the load distribution benefits of bogie drive, but with reduced running costs for operators. Included in this list is the R730 V8-powered prime mover, which sells in Europe as a 4x2 tractor, working in the mud and snow of Sweden, pulling logging trailers without even using an extra load-bearing axle. McCarthy says that while a history of poor-quality roads in years gone by may have dictated the use of bogie drive for many operators, the reality now is that urban and inter-city routes are fully paved, all-weather surfaces that don’t require the traction provided by multiple-drive axles. With this in mind, McCarthy used the Brisbane Truck Show in May to unveil the latest weapon in the Scania armoury, the G 440 prime mover, configured as a 6x2. According to internal testing, McCarthy says, compared with a similarly loaded and driven 6x4 prime mover, the 6x2 offers a fuel saving of approximately 12 per cent. At first glance, it’s virtually impossible to distinguish the G 440 from its brethren without climbing under the chassis to inspect the driveline. Instead, it offers the same man-made mountain fascia as its twin-drive siblings, with a two-piece stepladder grille climbing up to a one-piece wraparound windscreen. While cab-over designs struggle to achieve the same aerodynamic effect as bonneted trucks, Scania designers have addressed the problem as best they can with numerous aero-aids. Most visible are the low-mounted side vents, picking up airflow from the mid-section of the grille, bending it around the sides and pushing it down the flanks for reduced wind noise around the doors. The headlight clusters are also faired in with a combination deflector/protector, which also directs air out from the cab steps, again, improving wind flow and keeping the steps as free as possible of mud and water. Similarly, numerous shallow channels pressed into the nose cone and doors move air around less aerodynamic elements, such as door handles and mirrors, and also serve to tidy up the airflow at these points. The cab steps are also recessed into a wraparound bumper extension, all painted in body colour, so that rather than sitting exposed in the air flow and creating drag, they are hidden inside the bodywork. Extreme as this might seem, independent testing of aero kits in the US has demonstrated significant fuel consumption reductions for prime movers using body fairings, compared with identical units without fairings. The G440 LA 6x2 MNA — to use the full title bestowed upon it during the design process — is a single-framed normal-height tractor with air suspension, using single drive and a lazy axle, fitted with a standard height cab. The flat roof is fitted with a two-piece wind deflector, as well as vertical cab extensions at the rear, flared slightly outward to help move air out from the fifth wheel and otherwise slab-front of the towed trailer. The wings are also spring-loaded, to allow the operator easy access to the work platform at the rear of the cab, which wears a full checker-plate alloy floor for all-weather grip. 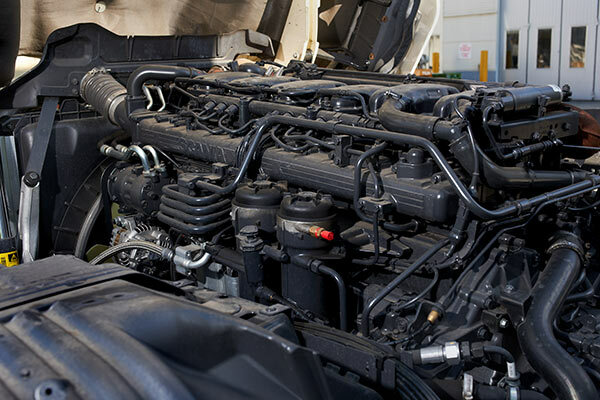 Acknowledging that there’s really no such as thing as ‘one size fits all’, Scania engineers followed the tried and true path with the DC13 engine in the G-Series, using low-maintenance two-stage EGR (cooled exhaust gas recirculation) to achieve Euro 5 compliance for the 13-litre six-cylinder engine. With the engine producing a comfortable 440hp (324kW) and 1,696lb-ft (2,300Nm), an AdBlue tank and associated selective catalytic reduction (SCR) hardware wasn’t needed to clean up the exhaust emissions. The engine also uses Scania’s own XPI electronically-controlled high pressure fuel injection for precise fuel burn, as well as a separate oil filter for the variable geometry turbocharger (helping to extend operating life) as well as a centrifugal engine oil filter, along with an 11-blade viscous-coupled fan, while the air cleaner is mounted under the driver’s side of the front grille. With the engine producing peak torque between 1,000 and 1,300rpm and peak power at 1,900rpm, the 14-speed Opticruise automated manual transmission is geared for direct drive, allowing the final drive ratio to be set at a low 2.71:1 for a combination of low gear acceleration without sacrificing fuel consumption at highway speeds. 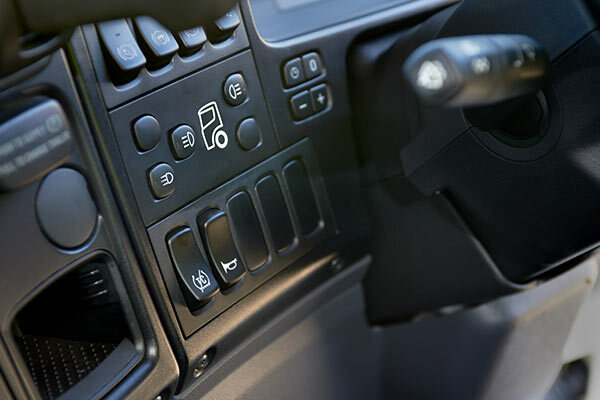 The transmission also features an oil cooler for effective temperature control, as well as a single power-take-off for driving external hardware such as tippers or agitators, and a multi-stage retarder for improved stopping power. For pre-trip inspections, the grille opens upwards to allow easy access, while the cab tilts forward at headlight level for routine maintenance and access to ancillary hardware. The cab suspension uses four airbags at the rear, with a pair of parabolic springs, rated at 7,100kg, and an anti-roll bar taking care of the front end. Despite the ‘Ikea’ jokes that are inevitably trotted out when conversation turns to the topic of Swedish interior design, the G 440 is a comfortable place to spend 10 or more hours each day, with reduced driver fatigue the main goal of the designers. There’s plenty of attention to detail, beginning with the recessed cab steps, which are wide and deep, with two external steps before the flat driver’s floor. 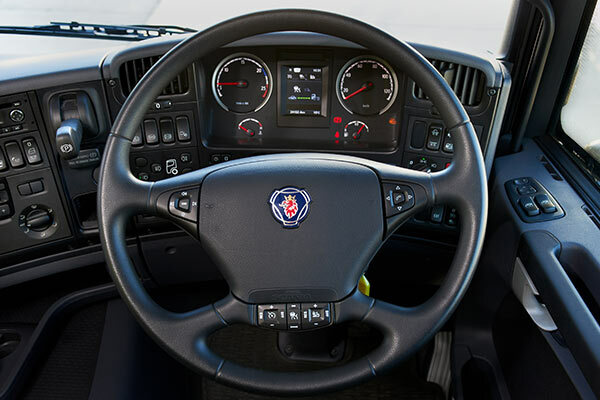 Unlike other brands that require the driver to use the door pocket or steering wheel as a grab handle during entry and exit, Scania designers include a vertical grab rail either side of the door opening, and being located inside the cab they don’t become cold or slippery during operation. The door trim features a broad, flat top that can be used as an arm rest on long drives, as well as holding the control panel for the power windows and electronically-adjustable and heated external door mirrors. The steering wheel has a default ‘up and away’ setting that moves it out of the driver’s way during entry and exit, and it also doubles as a handy surface for completing driving records at the beginning or end of a stint. Once into the air-suspended driving seat, there is plenty of fore and aft adjustment, even with the sleeper cab bunk fitted, ensuring a comfortable driving position for almost every shape of driver, from the short and stout to the big and bulky. The driving position borders on car-like, with the wheel offering infinite adjustment in both height and reach, allowing every individual to customise it to their taste. The one drawback of air-adjustable systems is their inability to ‘memorise’ the driver’s preferred set-up, unlike electric versions offered in luxury cars. However, this is easily overcome with just a few days’ experience of the cab. The wheel is a large, three-spoke unit, allowing the driver to feel not only in control but relaxed, with large handgrips around the ‘quarter to three’ position where most operations will take place. The wheel also features controls for cruise and hill-descent on the bottom spoke, while the two horizontal arms have four-way controls for the multi-function dash display (right side) and audio system (left side). 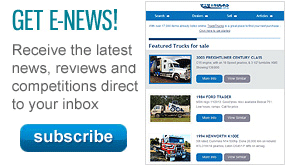 While this might initially seem like window dressing, the reality is that the more controls that can be accessed without requiring the driver to take their hands off the wheel the better, as it promotes more constant control of the truck. 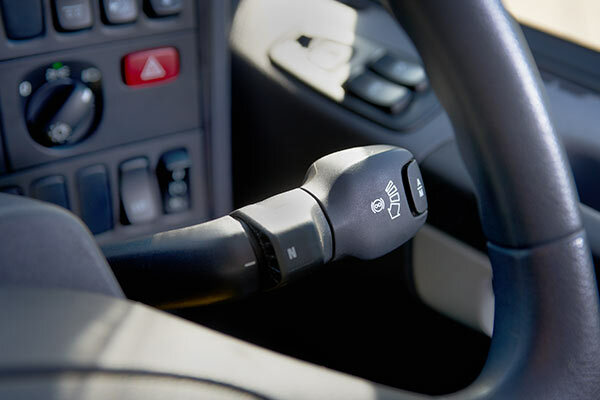 Underneath the wheel are two stalks, one on each side, with the right side controlling the gear shift and retarder operation, while the left stalk takes care of windscreen wipers, again reducing the time and distance the driver’s hands need to be away from the wheel in an emergency. At this point, I must confess to a preference for Euro-style dash layouts, finding them more intuitive than other designs, with chunky switches that allow the driver to ‘feel’ their way across the dash. Realistically, however, very few of these need to be used during normal driving — rather, they’re for lesser controls such as air-conditioning, air-suspension height controls (normally only used during manoeuvring or trailer hitching) differential lock and the main audio control unit. Another personal preference is the semi-wraparound style used by Scania, creating a cocoon-like feel once the driver is in place, without impeding movement into the sleeper area or across the cab. Also easily accessed is the stubby brake handle, which only needs the driver to lean forward slightly to apply or release, while the hill-hold system takes care of releasing the brakes on hill starts in conjunction with the Opticruise’s computer-controlled clutch. Other niceties for daily operations include a refrigerator under the bunk with a slide-out tray, with the handle positioned so as to immediately nestle into the driver’s left hand without needing the driver to lean away from the driving position. With a passenger on board, and being only a relatively short test drive, there was no need to test the bunk, but for the record, it’s the same size as the comfortable one used in the R-Series cab, which we’ve put to good use in previous tests. There are also very effective black-out curtains for the windows (again, tested previously) that not only offer privacy but do a good job of keeping the light out for daytime rest periods. It never ceases to amaze how such a small key can unlock so much power. In the case of the G 440, just a short turn gives the driver instant access to up to 2,300Nm of twisting force, more than enough to get over 38,000kg rolling down the road. Although the engine sits directly under the cabin, a combination of sound- and heat-proofing makes it virtually impossible to detect the powertrain while driving, with the 13-litre six a gentle thrum at idle. And while some drivers may pour scorn on AMTs like the Scania Opticruise, it’s a simple, no-fuss way to engage the driveline, doing away with clutch brakes and the like and taking the physicality out of the driving chore. A good analogy would be the minimal physical effort required by the captain of a Boeing 747 or the helm operator of a cruise liner: if they are able to control hundreds — or even hundreds of thousands — of tonnes with just a gentle push or pull, why should a 38-tonne truck require the strength of Hercules? With this in mind, the G 440 requires less physical effort — and as such, allows the driver to focus more on the cerebral aspects of the driving task, such as spotting the micro car with the zen-like determination to be as one with the tri on the trailer; or looking ahead for the change of traffic lights so as to allow the truck to make use of the not-inconsiderable force of gravity that comes with a heavy vehicle — and using that weight to propel the combination onward and upward, further reducing the fuel consumption. And if this sounds like something of a sermon, the reality is the modern transport industry is all about efficiency. The more efficient and cost-controlled an operator is, the greater the profit margin at the end of the day, week or year. In the case of the G 440, that is magnified by the halving of the driveline, with the power going to ground through a single set of wheels, rather than the more traditional two sets. Despite running as heavy as physically possible, with the trailer loaded to the gunwhales, with sandbags and a full load of fuel on board, the single drive had no problem with starting or stopping. During the test, we tried a variety of scenarios, including hill starts, rolling starts and standing starts, yet so impressive was the power-down that it was impossible to detect there was only a single drive. Similarly, there was no issue with downhill runs or use of the retarder through the single drive. The whole system is well sorted, with computers detecting and compensating for any problem long before the driver can detect them happening. 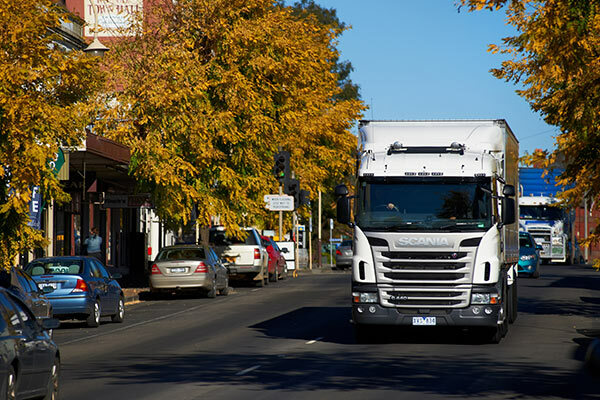 The test route took in a number of secondary rural roads, complete with soft shoulders and large potholes, as well as the Hume Highway in and out of Melbourne, with no road surface able to unsettle the truck enough for it to be felt in the cab. The steering is predictable, with good road feel, and minimal slop at the dead ahead position, so that even relatively small inputs translate to discernible action at the wheels. Equally impressive is the suspension, with the mix of steel springs at the front and four-bag air at the rear, combining to smooth out what could otherwise have been a rough ride across some broken bitumen. That’s not to say there wasn’t jolting and shaking going on underneath the cab, but it was so well damped that there was no discomfort for the occupants. The multi-stage retarder proved more than capable of slowing the truck without echoing throughout the cab and, although it adds to the workload of the cooling system, there was no change to the engine temperature during the run. The G 440 is available with a full suite of safety systems including adaptive cruise control (ACC), lane departure warning and electronic stability control (ESC), all of which work in concert and behind the scenes to protect the driver. The lane departure warning system activates through the radio speakers, sounding a rumbling noise if the truck crosses out of its lane without the steering wheel being turned. A camera mounted at the base of the windscreen monitors the road and compares it to steering wheel inputs using the ESC sensors, so that if the truck crosses a line without the driver specifically meaning to do it, the alarm sounds. The system only activates at speeds in excess of 65km/h, taking into account depot manoeuvres and stop lines to prevent the system becoming an annoyance at lower speeds. The ACC is another useful preventative measure, which activates when the cruise control is in use: a front-mounted radar detects vehicles ahead of the truck and applies the brakes if the truck speed is higher. The system is able to react faster than the driver, providing a safety buffer against vehicles that might suddenly cross into the truck’s path, as happened on a previous road test, activating the retarder to reduce the closing speed so that the driver can either apply the service brakes or look for a way around the slower vehicle. With the active distance able to be set by the driver across five increments, the ACC will maintain the gap for the driver until the radar detects the road is clear, at which point the cruise control will automatically resume at the preset speed. As an example, if the truck is travelling at 100km/h and a car doing 60km/h pulls in front, the radar will detect the slow vehicle and use a combination of brakes and gearshifts to slow the truck to 60km/h, then hold that speed until the road clears, after which it will accelerate back to the preset 100km/h. The other driver aid Scania offers with the G 440 is the Driver Support module, an adaptive electronic driver trainer that assesses the driver against a number of parameters and offers tips on improving efficiency. A screen on the multi-function display provides a visual display of the driver’s performance, including a star rating for specific manoeuvres and an overall percentage rating. The on-board computer will also offer advice on how to improve the performance throughout the drive, including tips on releasing the throttle before the crest of a hill or switching off the retarder to allow the truck to coast up a hill, without jeopardising driver safety. While it might initially appear to be a novelty, the system quickly becomes part of the whole driving package, encouraging the driver to think about the road conditions and how to use them to best effect, particularly in terms of improving fuel economy. The driver starts with a rating of 50 percent and then is given the opportunity to improve their score throughout the drive through careful driving. 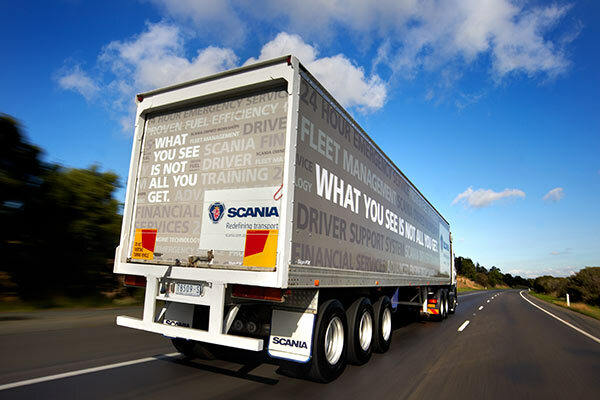 In my own case, I was able to improve my rating from an initial 51 percent to a high of 65 percent across approximately 120kmof driving, taking in a mix of hilly terrain, twisty roads and a short run along on the Hume Highway back to the Scania base at Campbellfield in suburban Melbourne. I may be going soft in my dotage, but having spent my early working life hefting sacks of potatoes as a 14-year-old in a fruit shop, why should I continue to spend my working days applying brute force if there’s a better alternative available? In the case of the G 440, there are a number of technical driver aids that can not only make the driver’s life more efficient, but less strenuous, with the end result that it’s possible to do a full day’s work and still have the energy to enjoy the rest of the day. More specifically, the G 440 proves a 6x2 is more than capable of operating as an inter-urban prime mover. It may not be ideal for long-distance line haul, but there are other versions with higher power outputs worth investigating. 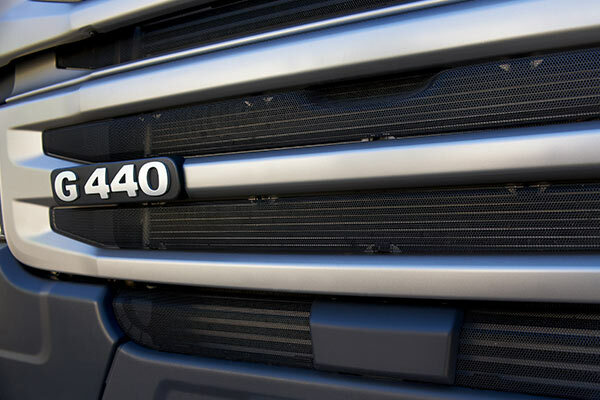 While a longer test of the truck is on the cards, there is no doubt from the initial experience that the G 440 offers plenty for fleet operators, and is worth adding to the list of possible buys when it’s time to order a new prime mover.